NPS vs. EPF, which one is better? The basic difference between EPF and NPS is that EPF gives assured tax-free returns in the shape of annual interest, whereas the latter gives market-linked returns, wherein the maximum of 50% of contributions can be allocated to equity markets. After a lot of noise and protests, the proposal to levy income tax on 60% of EPF withdrawal amount has been withdrawn and rightly so. This was a proposal drafted in haste in a bid to equate EPF with NPS. Let's remember that EPF has been a popular choice of saving tax and retirement planning for over 60 years and currently close to 4 crore members are depending upon their EPF balances for comfortable post retirement life. On the other hand, NPS was launched in 2004 for new Government employees and subsequently it was offered to general public in 2009. NPS is still to gain popularity amongst masses. The basic difference between EPF and NPS is that whereas EPF gives assured tax-free returns in the shape of annual interest, on the other hand, NPS gives market linked returns where the maximum of 50% of contributions can be allocated to Equity Markets. Thus, the potential of earning higher returns is clearly with NPS in comparison to EPF, provided the investment is made for a long-term horizon of 10 years or above. EPF is easy to maintain and track and annual returns being earned by all subscribers will always be the same irrespective of the amount of contribution or age of the member. However, the same is not true for NPS where the performance of Fund Managers will differ and also the allocation between Equity and Debt will not be same for all subscribers. Important point to note is that tax saving provision for both EPF and NPS are mutually exclusive as EPF gives deduction up to Rs.1.5 lacs U/s 80C and NPS gives additional deduction up to Rs.50,000 U/s 80CCD. In conclusion NPS and EPF are not alternative to each other. Rather, they are complimentary to each other and both schemes are recommended to be included in everyone's portfolio. These two are just like apple and orange. These two fruits cannot be compared and yet both are essential for good health. EPF is open only for salaried employees of private sector organizations. It is compulsory for each employee of organizations with 20 employees or more. NPS is compulsory for Government employees who have joined service after April 2004. However, NPS is also open to general public including businessmen, self-employed, housewives and persons working in organized/un-organized sector. Thus, a private sector employee can do his retirement planning by using both the options i.e. 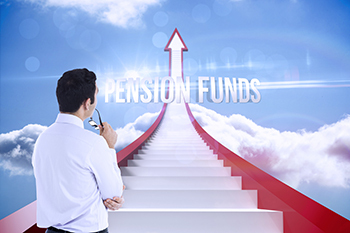 EPF as well as NPS but a businessman or a self-employed person can do his retirement planning only through NPS or in a limited manner through PPF. In EPF, it is a disciplined approach and employee does not have to do anything as 12% of his basic salary is deducted towards contribution to EPF and a similar amount is added by the employer. However, in NPS, it is completely voluntary and investors may invest either lump sum or in any kind of instalments. In NPS minimum investment in one financial year is Rs.6,000 and there is no upper limit. On the other hand, in EPF employer contribution is restricted to 12% of monthly basic salary and employee can also opt for extra voluntary contribution. Hence, there is a restriction on the amount which an employee can contribute towards his EPF. In EPF, 100% allocation is towards Debt instruments. Recently, EPFO has been allowed to invest 5% of incremental corpus in Equity markets with a maximum cap of 15% of fresh annual contribution. In case of NPS, investor is offered two choices – either to decide his own asset allocation between Equity and Debt or he can also opt for default option. Under default option, allocation to Equity continues to decrease with every passing year up to retirement whereas in other option, the maximum allocation to Equity can be only 50%. Also, there is a choice of six Pension Fund Managers to choose from. in EPF return is assured and is same for all subscribers. For last financial year, the interest rate applicable for EPF members was 8.7% pa and in future it is expected to be similar or slightly lower as the interest rates go down in our economy. On the other hand, investors in NPS may expect a slightly higher return due to allocation to Equity. Over a long tenure of 10 years or over, returns generated by NPS Scheme may be 2 to 3 % higher than those generated by EPF. As per current provisions, contributions to EPF qualify for deduction U/s 80C up to a maximum limit of Rs.1.5 lacs but U/s 80C there are other alternatives also like PPF, ELSS, Insurance Plans, Tuition Fees, 5 year Bank deposits, etc. For NPS investors, there is an exclusive deduction up to a maximum limit of Rs.50,000 U/s 80CCD (1B) over and above Section 80C and there is no other alternative for this. On maturity total amount in EPF will be tax-free and the entire amount can be withdrawn at the time of retirement. However, in case of NPS, up to 40% of corpus can be withdrawn without paying any tax. Balance 60% may be invested in buying an Annuity i.e. an immediate pension plan. Please remember that in case of NPS, under no circumstances 100% of corpus can be withdrawn at retirement. Minimum 40% of corpus has to be invested in purchase of an annuity plan. However, one can also buy an Annuity Plan by investing 100% of corpus.